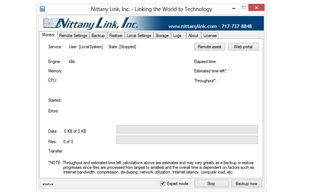 Nittany Link, Inc. Linking the World to Technology! We try to be selective in choosing the right customers and staff to work with and are interested in developing long term relationships that are mutually beneficial. Our success is measured in the success of our customers goals and objectives. Published by: Nittany Link, Inc.
Save time by paying your invoices online with our secure bill payment system. New Features include better IOS/Android functionality, address auto-completion, message organization via drag and drop, right click context menus, full cross browser compatibility, optional automatic image downsizing, and much more. Introducing the new cloud backup solution which provides secure data transmission and encryption to protect our clients valuable data. When is it time to replace my computer’s hard drive? What are Viruses, Spyware, and Malware, and what are the differences? Learn More Feel safe knowing that your data is encrypted before it is backed up, during the transmission, and while stored.